Materials: acrylic yarn, 5mm crochet hook. 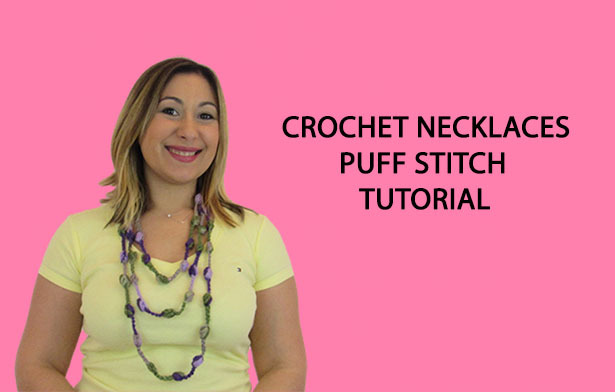 Start with chain 7, 1 puff to the 2nd chain, chain 7, 1puff to the 2nd chain, repeat this pattern until you have the length you want. Grab both tails and make a knot. 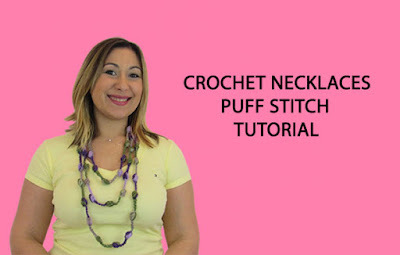 Watch my video tutorial witch shows you how to crochet these beautiful necklaces step by step!